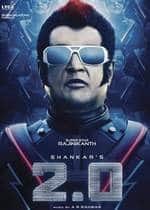 Story: After mobile phones start mysteriously disappearing from the city of Chennai, its up to Dr. Vaseegaran and robots Nila and Chitti to find answers. Review: You want to use great VFX and CGI and make the film a visual treat for the audience, then please go ahead, I have no complaints. However, in doing so if you want to show us a man with wings flying around and stealing the cellphone’s of every single person in the city to get his revenge or teach them a lesson or whatever.. then that’s where you have lost me. A lot of research has gone into making this film and that shows. While researching about the concept of this film if a little research was done on how to hold the audience’s attention it would have been highly beneficial for some of us who fell asleep towards the end. (Or was it just me?) To give the film credit where it’s due an effort has been made to explain why this man is behaving the way he is and the makers have even tried to send out a message through the story. Frankly speaking, if 2.0 was 30 minutes shorter it would still have been watchable but towards the end it just became a bunch of powerful robots/ creatures/ evil thingies trying to kill each other. The fact that I saw the dubbed version of the film in hindi and most of the actors seemed to talk like robots themselves, didn’t help either. Also, to establish the evilness of a character it is not necessary to show them laughing in a creepy way, that just makes the whole thing unintentionally funny for the audience. (Superstar) Rajinikanth as the credits announced rather unsubtly plays a double role in this one. (Just) Akshay Kumar has less screen time but does complete justice to his character. 26 year old Amy Jackson is here too, opposite 67 year old Rajinikanth........just saying. 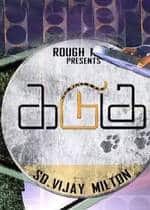 Kadugu is a return to form for Vijay Milton, and a make-good for subjecting us to the disappointment that was 10 Endrathukulla. As he did with Goli Soda, Milton narrates a story whose plot points are familiar, but he injects freshness into the film by giving it a unique setting and populating it with characters who are unusual and fascinating. The central character is Pandi (Rajakumaran, an inspired casting) or as he refers to himself, Puli J Pandi. He is a folk artist, a specialist in Puli Vesham, and comes to a small town as a help to an inspector (A Venkatesh). 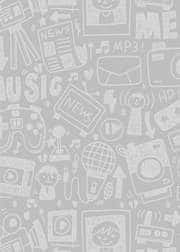 The station already has a help in the form of Anirudh (Bharath Seeni, the director’s brother, making a confident debut), a petty criminal who is in love with a young girl. Situations result in her mistaking Nambi (Bharath), a boxer and the benefactor of the town, to be her secret admirer. And, impressed by his kind-hearted character, Eby, a school teacher, gets attracted to Pandi, and the two begin an online relationship. Meanwhile, a perverted minister’s visit to the place and his actions result in a turmoil for these characters, who have to decide between fighting for justice and staying quiet. Verdict - A confusing narrative with some good action scenes. 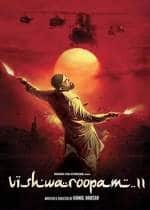 Vishwaroopam 2 left me very curious about two things. One, who is a nuclear oncologist? Is it a person who studies nuclear medicine? Or is it a person who can defuse nuclear bombs? Or is it a cancer doctor? And if she is so smart why does she act so ditzy? Two, why does everybody need to go to the loo so much? These are simple questions that occupied my mind most of the time since the rest of the movie left me quite befuddled and bored. There are various terrorists from Al Qaeda scattered around the world and there is RAW which has various people such as Shekhar Kapoor and another boss who calls everyone ‘Collateral damage’ and a double agent and of course Wisam, the main guy. Then there is the ditzy nuclear oncologist(DNO) Nirupama who is Wisam’s wife and Ashmita who was Wisam’s trainee in the army and who had a crush on him from the kind of hate vibes she sends Nirupama. The terrorists keep trying to blow up Wisam who keeps killing them in turn. The thing is that no one really dies. They get blown up, stabbed, burnt etc but after a few scenes, they are back to fight the good fight. I guess in the intervening period they all go to the loo to relieve themselves and wash their wounds. There is also Wisam’s mother with dementia thrown in for good measure. There is a story somewhere but the constant switching between the present and the past leaves me dizzier than the DNO. There are some major action scenes underwater and some rather gory fights and stabbings but they just seem kind of episodic rather than taking the story forward. It’s like Wisam is needed everywhere to defuse every bomb ever set ticking. I don’t see the master plan or the end goal that would make all the hard work worthwhile. To top it, just when things are heating up, we take a small break for a romantic scene between DNO and Wisam set strangely to a rather beautiful Krishna bhajan. Quick on its heels comes another song with the mother. And then the realisation that there is work to be done and we go back to the bombing etc. The background music is pretty good though. I don’t know what to say about any of the acting. Kamal Haasan dominates every single frame of the movie. The two women Pooja Kumar as DNO and Andrea Jeremiah as Ashmita just irritate though Andrea at least has some fighting to do. Rahul Bose does some amazing thing where he rolls one eye up and keeps it there. Maybe it’s some prosthetic but it’s impressive. Along with a raspy voice and some awesome burn make-up he makes a good terrorist. Shekhar Kapur hangs around looking cool and then vanishes in the second half. Maybe he got bored. Waheeda Rehman looks wonderful and sweet and provides a brief respite from everything. There are some good special effects in the movie and if you like fights and explosions and stabbings etc you may like this. It didn’t work for me at all. This weekend it has been 8 years since I started reviewing movies and stuff like this makes me wonder why I still do it. Guess that’s what an addiction is. Keep reading folks. It keeps me going. The name's Richie and he's a bit of a mystery. A journalist played by Shraddha Srinath is on a mission to unmask this person. For Kaka Peter (Kumaravel), Richie (Nivin Pauly) comes across as a thug hired by a goon Isaac Annachi. This is particularly sensitive as Annachi had almost killed him once. Then there's Murugesh (Aadukalam Murugadoss), for whom Richie is an understanding friend. Richie also has Raghu (Raj Bharath), an ex-friend who now sees him more as a hindrance. And finally, there's Richie's dad Sagayam (Prakash Raj,) a clergyman who's a bit disconnected with the proceedings. These are the characters, and each one has a unique situation and relationship to Richie. Timing plays a key role here and for their own reasons, Richie's relations abandon him in his time of need. Peter has the big fish Issac to worry about due to his negligence. Raghu meanwhile is hiding a highly valued statue from these same gang members, implicating his family in the process and putting them in danger as well. If things don't seem jumbled enough, another character Selvam (Natty) arrives and is in search of new beginnings. He's attracted to Peter's sister Philomina (Lakshmi Priyaa), and this has its own consequences for Richie. How he reacts to these events and how the journalist in turn tracks all of this forms the reminder. 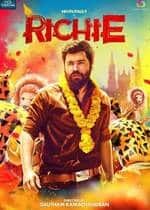 Directed by Gautham Ramachandran, Richie can be read like a book. Each phase of the film is distinct with its own subplots and curiosities. Although these characters are after material goals, the underlying peace and satisfaction that they desperately seek seems to elude them at every turn. Nivin Pauly does a commendable job as Richie but his accent compromises his thuggish nature. Shraddha Srinath has a limited role compared to her Kannada counterpart Tara. Natty as the guy looking for a break surprisingly gets significant screen presence, and he utilizes it very well. Prakash Raj, Lakshmi Priyaa, Kumaravel, Aadukalam Murugadoss, and the rest get a noticeable share and they've done good. 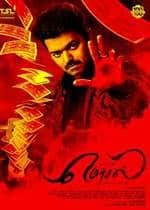 While Mersal suffers from a few of the cliches of the masala entertainer, however Director Atlee manages to give the film amazing pacing and knows exactly what buttons to push to keep the audience engaged. Vijay gives one of the most balanced performances of his career and clearly shines. 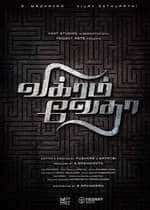 Vikram Vedha Review-It's time for some entertaining story-telling... pretty slick! The best thing about the film is the name of the movie itself. The have tactfully named it Vikram Vedha, as it is based on the popular folklore Vikram Betaal, which many of us would have come across in childhood. The story is borrowed off of that very concept, but what I liked was that instead of retaining Betaal, they chose to name it Vedha. 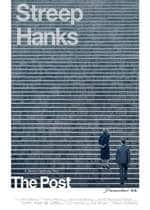 The film dwells on circumstances being a critical factor in shaping one's choices, and right or wrong becomes a mere perspective... the right is wrong and the wrong is right, one may argue, and rightfully a compelling film title. It's a cat-and-mouse game between cop Vikram and don Vedha. Or should I say, between the two sides of the law. Vedha keeps slipping in and out of Vikram's hands, and in the course, keeps riddling him with events from his life, that makes the cop (and the viewers) think about cause and effect in one's life. Trust the South Indian film industry to like someone that is not conventionally good-looking. Seriously, when you hear the fans in the hall whistling at the entrance of Vijay Sethupathi, you cannot help but realise that he has a huge, huge fan-following and if he grows at this pace, I do see him becoming a mini Rajnikanth in the next decade or two. I did like the credit rolls, both in the beginning and in the end; it was pretty cool and the music by Sam CS was actually pretty impressive, particularly the background score. There was never a dull moment, though it was not without its flaws. It was very filmy in the sense that it has a lot of masala to it. 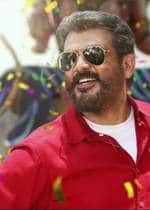 You see gangsters getting shot left right and centre and I don't know when these films will start treating the antagonists as sharp and intelligent, too. I don't know why they are treated or characteristics dumb people who don't have any plans. They bite the dust so easily that it is a little hard to digest, and if it was that easy in real life, then we'd have got Dawood Ibrahim long ago. But again one may argue that that's why a movie is a movie for its entertainment value, and that it's different from real life; but for a film lover like me, I cannot but help notice these loopholes. Both Madhavan and Sethupathi are impressive, and do not give one dull moment all through. Again, the background score is haunting! On a positive note, I could not notice how time passed by. I did like the ending. A good slick entertainer. My verdict: 2.75 out of five. An additional .25 included for the entertainment quotient, which is in abundance in this one.